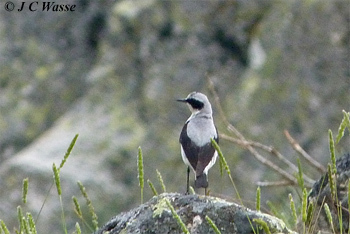 Thanks to everyone who fed back helping me with the id of these pale Wheatears. 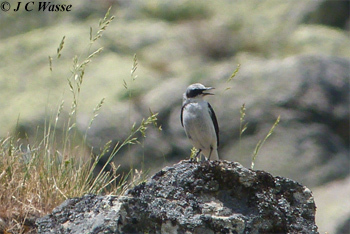 They are Northern Wheatears, and very probably examples of the southern form 'libanotica'. 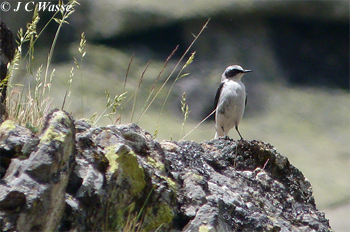 Some 'Wheatear' photos from Spain (Sierra de Gedos) of a week ago. Very monotone. 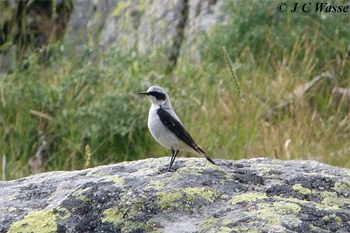 Can these be identified to species, Northern Wheatear or bleached Black-eared Wheatear? Not sure if all are of the same bird.